Summer is just around the corner and backyard barbecues, pool parties, and picnics will soon be in full swing. Burgers, hot dogs, potato salad, watermelon, and other summertime classics will be gracing many tables, but if you really want to wow your guests, why not give these unique summer recipes a try? Let’s start with main dishes. 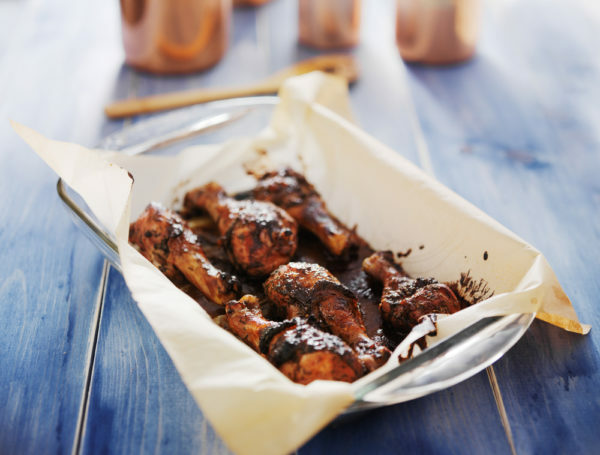 Chicken is a perennial favorite, but drenching it in barbecue sauce isn’t the only game in town. Jerk is a cooking style dating back centuries to the Caribbean islands. It involves rubbing citrus juices, peppers, and other spices into meat, then slowly cooking it over a fire. This method of cooking translates perfectly to barbecue grills and can be used with any type of meat. To make jerk rub (marinade), combine all ingredients except for chicken, olive oil spray, and lime in a food processor or blender. Process, turning off and on, until a thick paste is formed. Rinse chicken, split in half lengthwise, and place in a shallow glass pan. Set ¼ cup of jerk rub aside, and rub remaining onto all surfaces of chicken. Cover and refrigerate at least 2 hours. Preheat grill to medium-high. Spray rack with olive oil spray, and cook chicken for 40-45 minutes. Turn occasionally and baste with reserved jerk rub. Cook until firm and juices run clear when chicken is pricked with a fork. Serve hot, with lime wedges. Going meatless is another way to incorporate healthy dishes into your unique summer recipe lineup. Here’s a twist on a traditionally meat-based recipe that offers a light, healthy change from the usual barbecue fare. Soak eight 10-to 12-inch wooden skewers in water for 30 minutes before using. 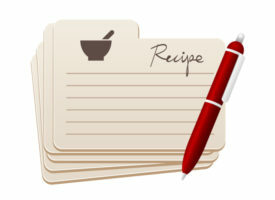 Combine soy sauce, lemon juice, olive oil, rice wine, xylitol, ground ginger, and garlic and stir well. Divide into two bowls. Drain tofu and dry with paper towels. Cut into 3/4- to 1-inch cubes and place in one bowl of marinade. Place onions, peppers, and mushrooms in the other bowl. Cover both bowls and refrigerate for a minimum of 30 minutes; 1 or 2 hours is even better. Gently stir occasionally. Heat grill to medium-high. 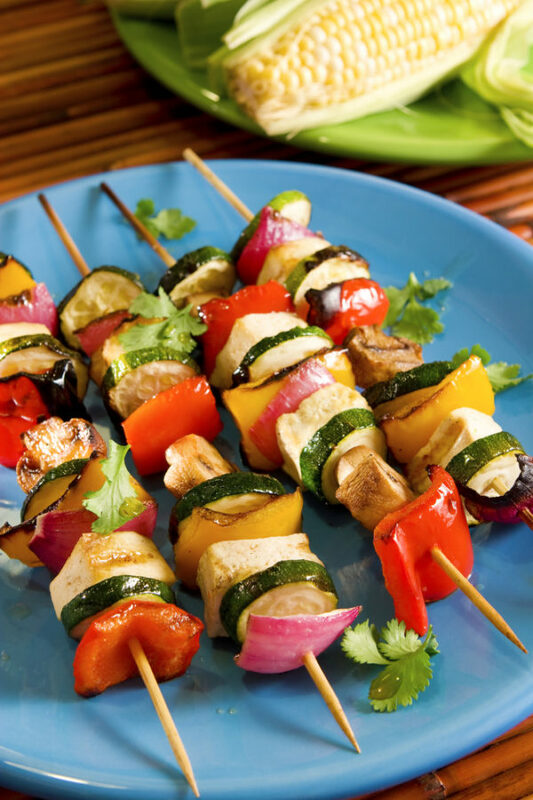 Thread tofu alternating with vegetables on skewers and spray with olive oil. Reserve remaining marinade for basting. Cook for 7 to 10 minutes, turning every 3 minutes or so, basting with reserved marinade. *Only use extra-firm tofu in this recipe—regular tofu will slip off the skewers. 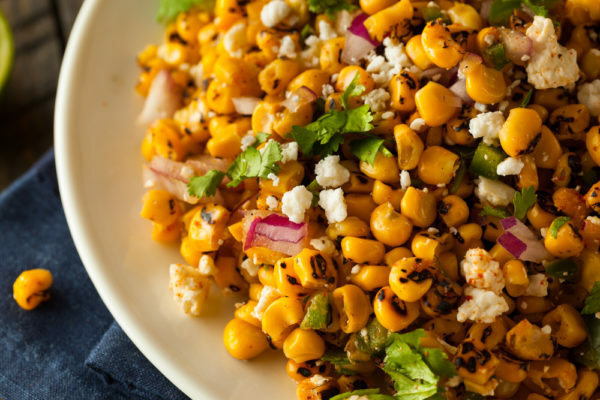 Swap that boring potato salad for this unique summer recipe that uses a traditional summer barbecue favorite (corn) with a little Tex-Mex flair. 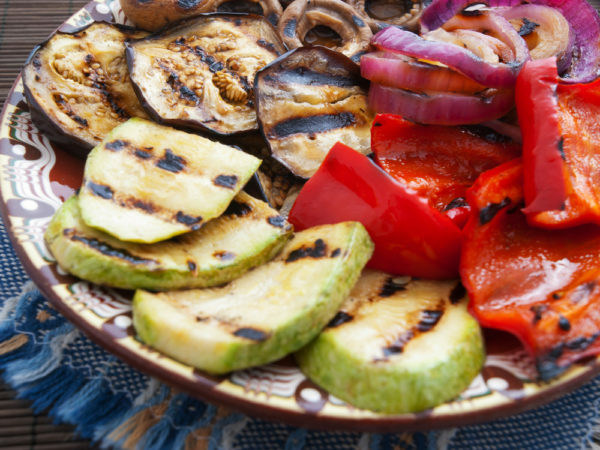 And give grilled veggies a little something extra by adding a secret ingredient. To make salad dressing, combine mayonnaise, chili powder, seasoned salt, and pepper in a small bowl and refrigerate. Remove corn from cobs with a sharp, preferably serrated knife, or defrost frozen corn. In a large bowl, gently mix corn, avocado, and dressing. Chill for 30 minutes before serving. Preheat grill or broiler and place the grill/broiler pan 3-4 inches from the heat. Prepare vegetables as follows: slice zucchini lengthwise into ½-inch slices; peel eggplant and slice crosswise into ½-inch slices, remove stems and clean mushrooms. Spray grill/broiler pan with olive oil spray. Spray both sides of vegetables with olive oil spray. Place vegetables on grill (mushroom caps facing down) or under broiler and cook for about 5 minutes, watching carefully to avoid burning. Turn and continue cooking 3-5 minutes. Remove from the grill and brush vegetable slices with pesto. No list of unique summer recipes would be complete without an interesting dessert, right? For this tasty dish, a splash of Grand Marnier adds a citrusy punch to the fruit salad. Peel orange or tangerine and apple, and cut into bite-sized cubes. Stem strawberries and half or quarter, if large. 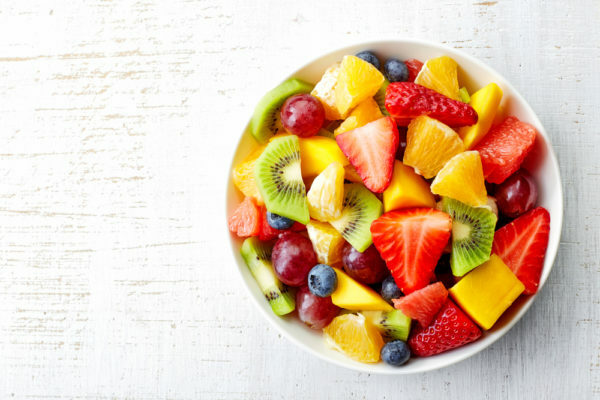 Combine all fruit with xylitol, lemon juice, and Grand Marnier and toss well. Place in individual serving cups or small bowls. Garnish each with a sprig of mint, if desired. So, there you have it. A handful of unique summer recipes that are tasty, memorable, and will have all your guests coming back for seconds.